Sheik Muhammad Ma’moun Rahma: After over three years of this world war, which was waged against us and against the entire Arab world, the tables have been turned overnight. 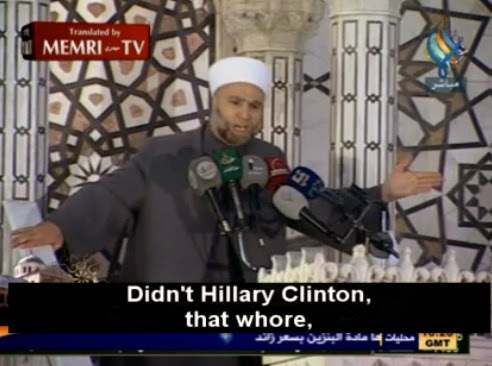 Didn’t Hillary Clinton, that whore, admit that she had given birth to ISIS from her filthy womb? Obama, what made you kill your spoilt daughter, ISIS?